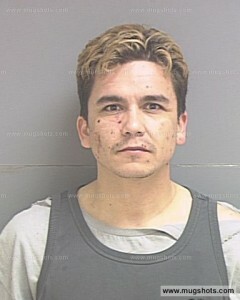 Because Andy Esquivel is technically without legal representation at this time and thus needed to appear in court today at 8:45am but didn’t show up, the court was unable to proceed with it’s pre-trial hearing. William Albright indicated that he was prepared to proceed with his motion to withdraw, but noted that Andy was in Colorado still after his girlfriend had their third child (the court referred to her as his ‘wife’, but of course Andy has never been married). The court agreed to continue the hearing out of compassion, although no mention was made of the fact that Allen Brady found a way to make it to court in spite of the fact that he had a new baby at about the same time that Andy did. When the Defense asked to continue the hearing until March, the prosecutor objected stating that the state wants to get this process moving as there have been too many delays already. A new pre-trial hearing has therefore been set for February 26th. For hose of you wondering why we haven’t yet posted Andy Esquivel’s statement of “indigence” on this website, the reason is simple – Andy hasn’t filed it yet. It turns out that Andy still hasn’t filled out any of the forms begging the court to grant him the use of a public defender (who he has now pissed off) because of his indigent (read ‘broke and unemployed’) state of affairs. Once Andy files the appropriate forms and the court makes them public, we will post them on this website as evidence that Andy is indeed broke, destitute, and unable to pay his bills. Hopefully he’ll get those papers filed sooner rather than later, or else he’ll find himself being represented by Allen Brady in the courtroom – or worse, himself!. Man this court thing needs to get done. How long has he been dodging it? I need an extension, I can’t get there in time can we meet in a month, my lawyer needs 5 months to get familiar with the case, oh now my court appointed lawyer needs to get familiar with this case there’s 5 more months… on and on and on! What a waste of a life! Can we somehow get him out of the gene pool? This isn’t fair for those little kids who have to have his genes. Yea, I think Andy should just plead guilty and save us all some time. This case is getting BORING!!! They should sell tickets to his trial. Use that money to pay back the victims. They might even out sell the jazz with the turn out for one of the all time greatest comedies. And yes Andy, you can have that quote for your “documentary” how you are going to get access to a camera in jail is beyond me. Maybe you can invent one out of the paper clip they give you.